I thought this week I'd make a bit of a proper WIP post. 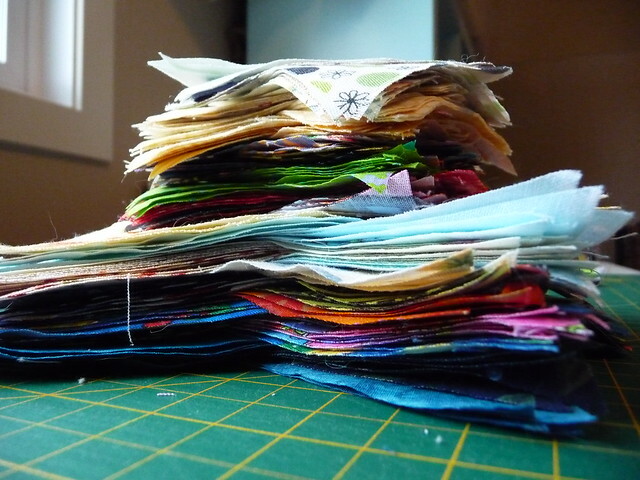 Although the one on the top of that stack really no longer counts - it was my lovely finish for January. 1.Grandma's Geese are still a WIP though. I'm actually doing them as a leader/ender project right now because I'm struggling to sit down and just do it. 2. 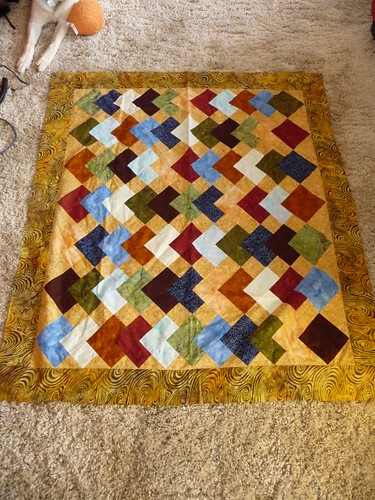 This was my Quilt Retreat project a couple of years ago. 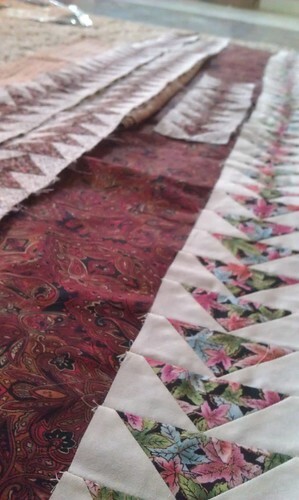 I now have backing for it and it's on the list to be layered and quilted. 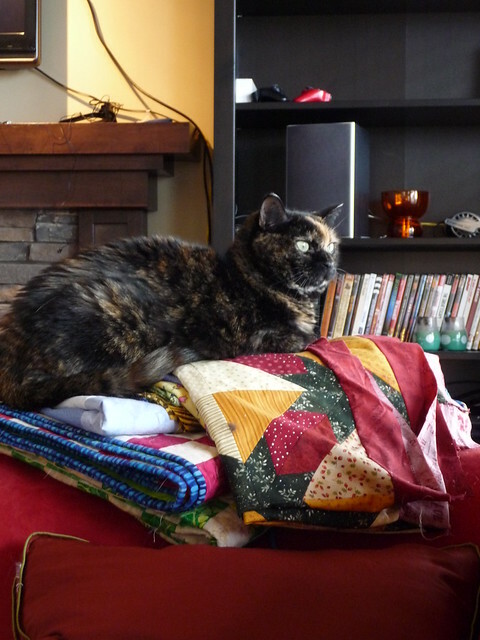 I'm slowly making my way through my quilt tops. 3. Stack and Slash. Let's not discuss the age on this one. I have the backing cut out for this so it's probably up next. 4. 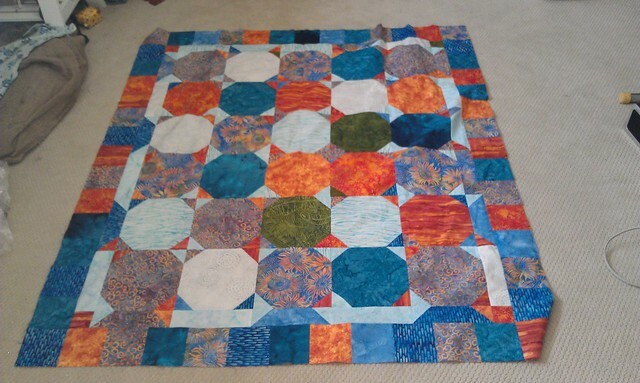 Snowball Quilt (maybe I should call it snowballs and fireballs?) 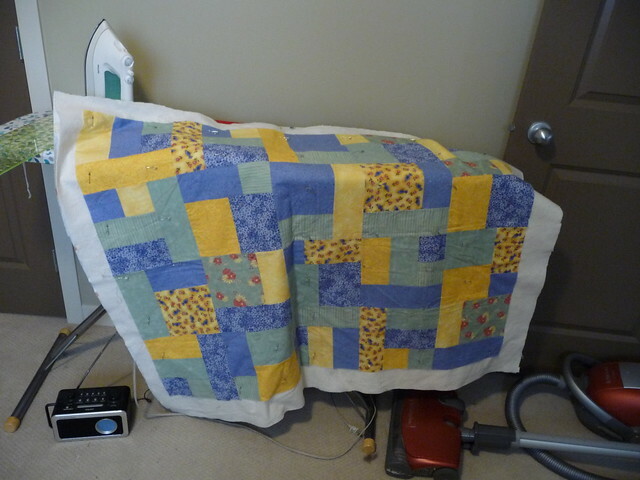 Another retreat project that needs to be quilted. At least this one is just from last Oct and not 2000. 5. Look! 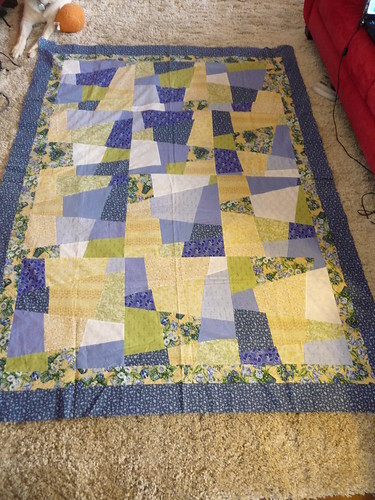 It's layered AND quilted. And another undated one. 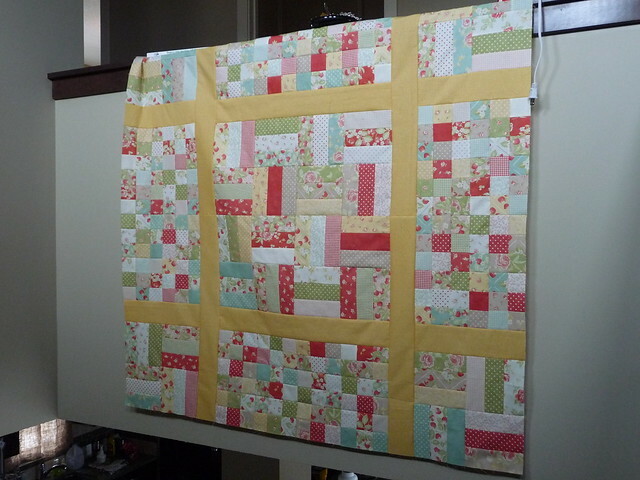 Baby quilt and it's my Lovely Finish goal for this year. Better get cracking. 6. Simply Spring. A new-ish project this year. Sort of. 7. Scrap Triangles. I was due for some stash busting. 8. 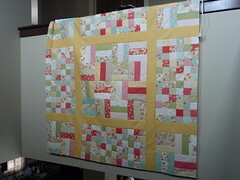 And last, but not least, another project from the October quilt retreat. 9. Batik scrap table runner, split log cabin. Just started this, no pictures yet. 10. 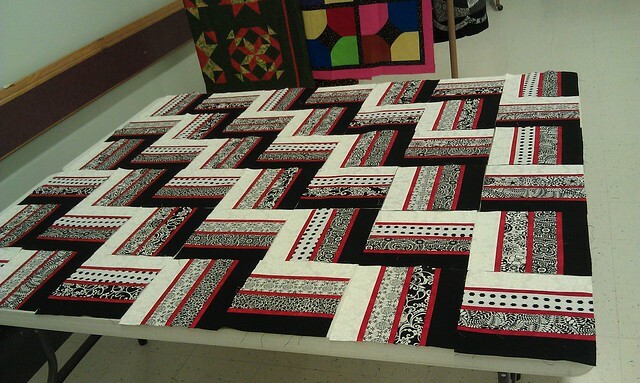 9 patch and rail fence quilt I just cut out last night. I guess I have 10 current WIPs. Yikes. 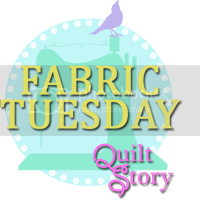 Posted for WIP Wednesday at Freshly pieced. I love your WIPS. I have quite a few too! You have a lot of WIP and quite a lot of variety. Enjoy!